Karen Willis, an artist born in the Shetland Islands now resides and works from the attractive, ancient market town of Morpeth. From an early age Karen has demonstrated an affinity for painting winning an outstanding award for art at school. As a teenager she painted prolifically, selling to local Shetlanders and many tourists. Karen went on to study a DATEC diploma in Art and Design at Hereford College. After this one-year course she studied photographic studies under John Blakemore at Derby University for a BA (Hons) degree. Karen produced some notable work, having some of her work published in a national photography magazine. 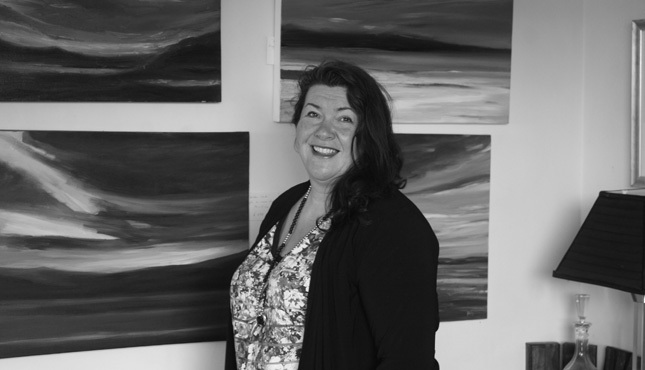 In recent years demand for Karen's work has grown and five years ago she began painting professionally on a full time basis. Her first big break came in October 2003 when the Tallantyre Gallery exhibited her work at The Affordable Art Fair, Battersea, London. Since then Karen has exhibited widely both locally and nationally, including exhibitions at The Di Rollo Gallery, Dundas Street, in Edinburgh. Karen's pictures are in private collections in various countries of the world including Canada, Japan, Germany, USA and South Africa.